Singer, Writer, Speaker, and Actor 2Blue (aka Tirthankar Poddar) enjoys the notoriety of being a versatile artist. Having sung in English, Hindi, and Bengali, he has performed and recorded in more genres than he often gives himself credit for. But if there’s one genre where his heart belongs, it’s Classic Rock. 2Blue’s live performances combine storytelling, life lessons, and music to create an experience that enriches the soul. But you don’t have to take our word for it. Ask a friend. 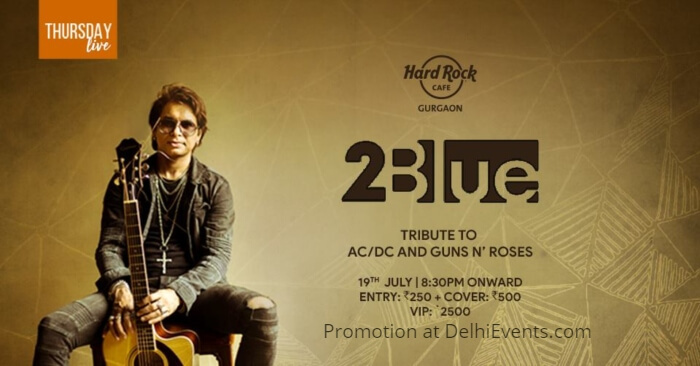 Or better still, come to Hard Rock Cafe Worli for his tribute to AC/DC and Guns N’ Roses on Thursday, July 26 to find out.